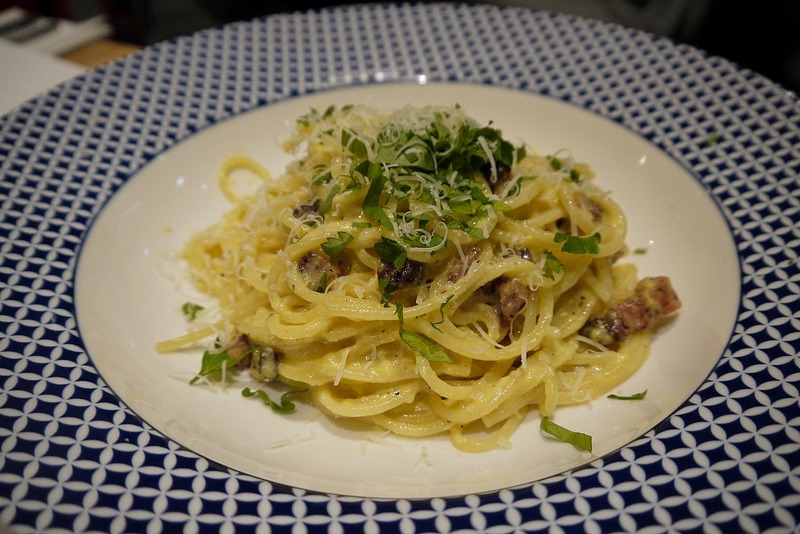 I have never heard of Carluccio until it landed in West Quay Southampton recently. It's actually situated in an unusual location bottom floor of West Quay, if you have been to West Quay you will know the restaurants are usually on the top floor of the food court. 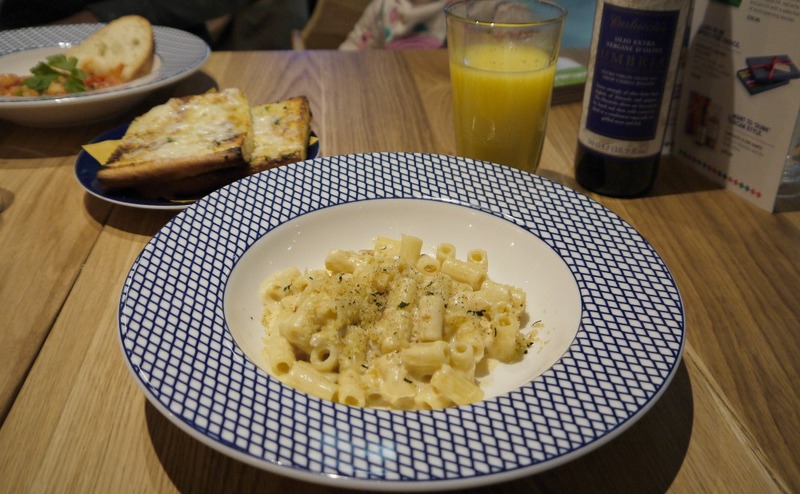 Carluccios Italian restaurants are all about quality ingredients inspired by Antonio Carluccio. We popped along on a Saturday afternoon and booked a table for late lunch 2pm and took the little one with us. When we arrived they already had a table ready along with a high chair and some crayons / activity sheet ready. When I saw crab I knew we had to order this starter to share this is the Crab Macaroni which is crab meat in creamy rich cheese sauce topped with breadcrumbs. The crab meat was good and it was just the right portion for starter. I am always greedy wishing there was slightly more crab meat but for starters it's actually just right. The other starter we picked was Prawn Marinara. 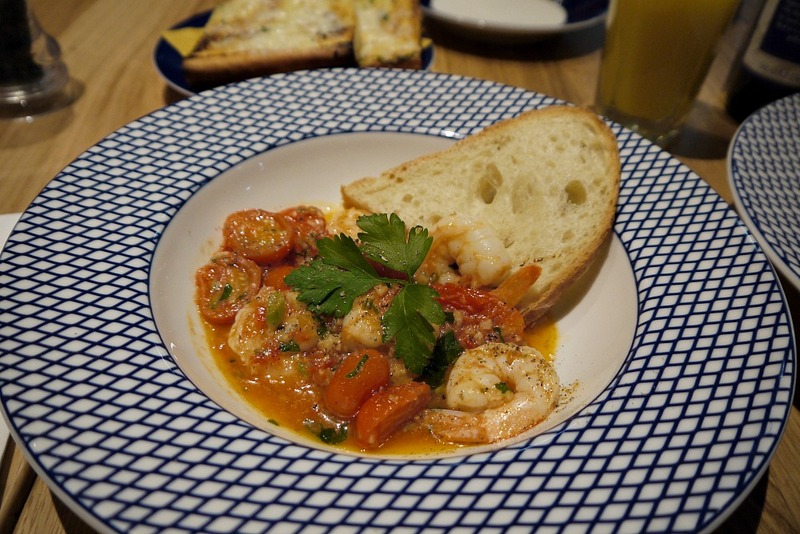 Reasonable sized marinated prawns sautéed with white wine, chilli, baby plum tomatoes, fennel seeds in a tomato and basil sauce which was served with a grilled ciabatta for dipping and scooping up the sauce. With all those ingredients combined it was well seasoned and I love dipping the bread into the sauce so there was no waste. We both really enjoyed our starters. 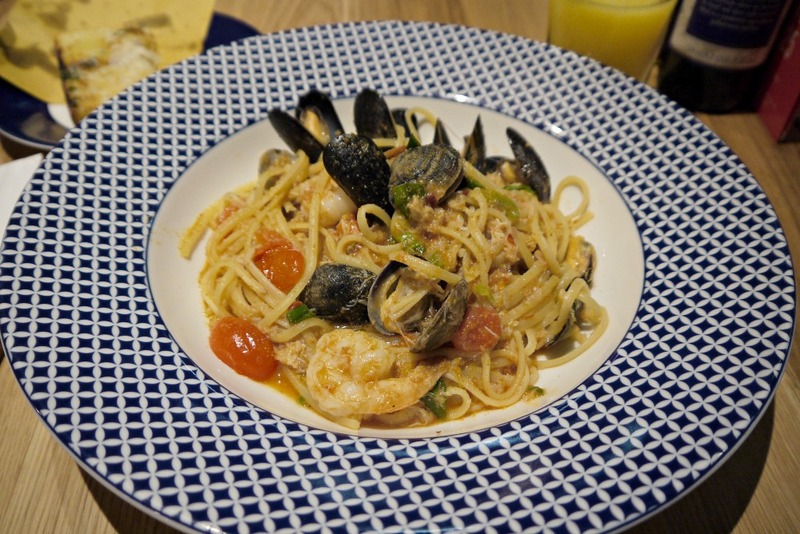 We continue with the seafood choice for mains opting for their new Seafood linguine which I have had again since (we returned a week later for another meal) it is sooooo good! Mixed in is prawns, mussels, clams, crab tossed in a rich tomato and hot chilli sauce with baby plums and fresh basil sprinkled with bottarga. If you love your seafood as much as we do then this is a must have! For the other main it's got to be the classic Spaghetti Carbonara - grans padano, eggs, smokey guanciale and plenty of black pepper. 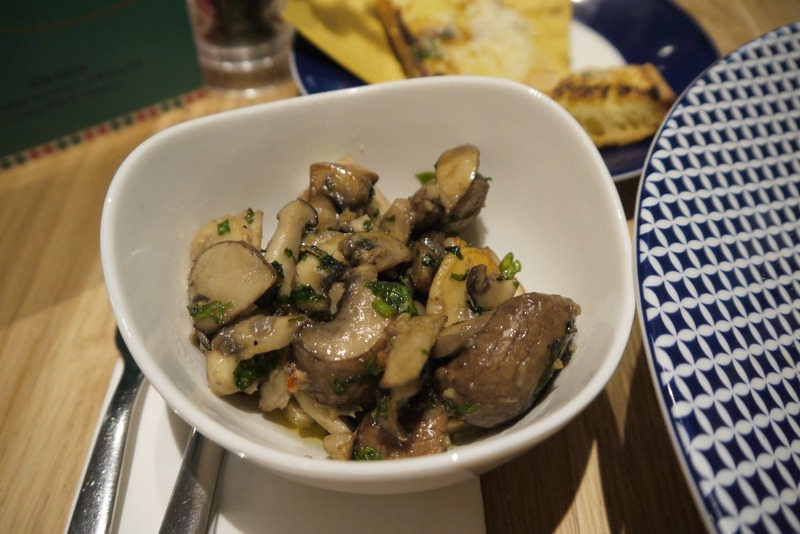 We both really like mushrooms so I picked a side of sauteed mushrooms with chilli and garlic as a side to share. 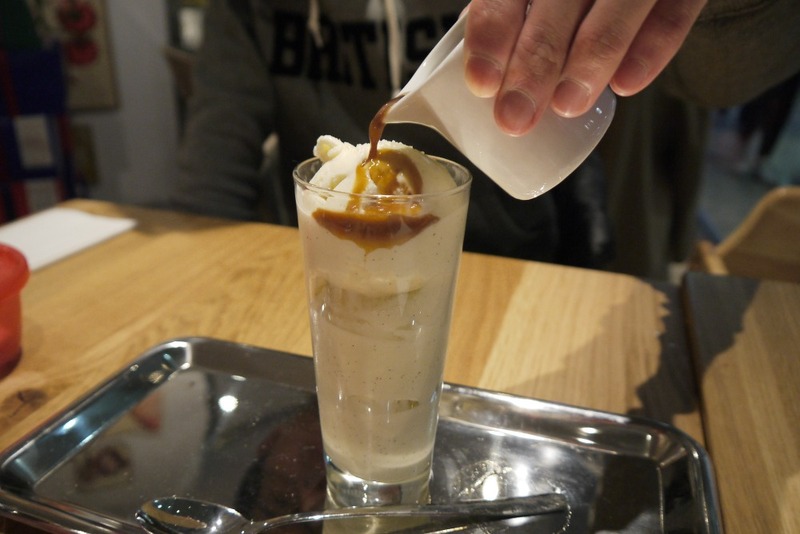 We finished off the meal with the Italian classic Affogato which is their vanilla ice cream served in a tall glass with a strong espresso to pour over the top. 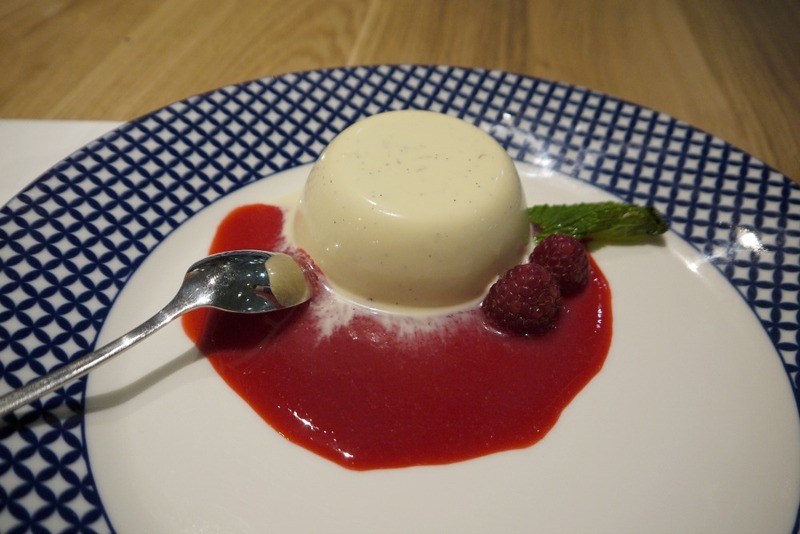 I picked one of my favourites Panna Cotta - vanilla and rum flavoured cream and some raspberry sauce. The service was amazing throughout and our little one was happy to sit there for just under 1.5 hours on her high chair while we enjoyed our meal so there was no rush and the waiter chatted to her quite a bit to keep her entertained. We enjoyed it so much we went back again so highly recommend this place!